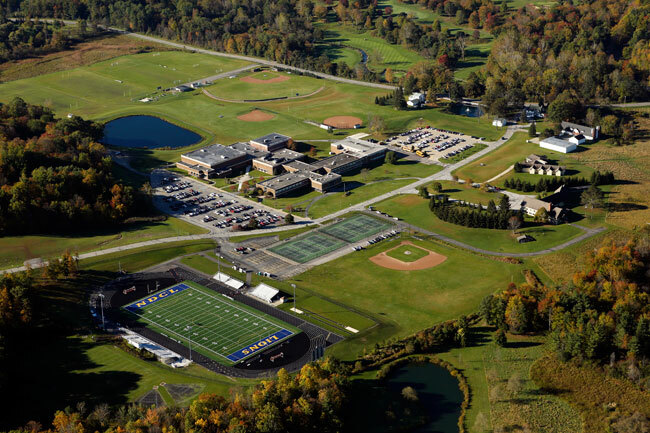 Notre Dame-Cathedral Latin School is located in Munson Township in Geauga County and draws students from Lake, Geauga, and the eastern suburbs of Cuyahoga County. The school is located four miles from the intersection of routes 322 and 306. Our 75 acre campus, leased from the Sisters of Notre Dame, is extraordinarily beautiful, scenic and serene. The expanded campus of 425 acres is accessible from Auburn Road or from Butternut Road. You are always invited to drive through the campus and visit NDCL.